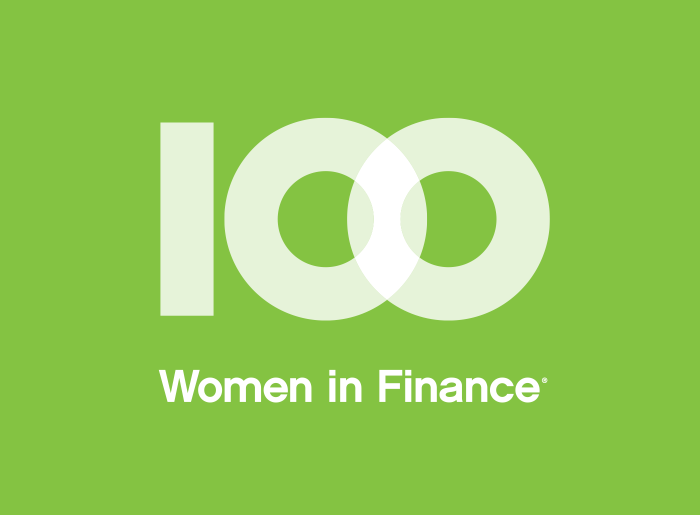 100 Women in Finance (“100WF”) today announced that Paula Volent, senior vice president for investments at Bowdoin College, will be presented the 100 Women in Finance 2017 North American Industry Leadership Award at the organization’s 16th annual New York Gala on November 8, 2017. Each year, 100WF identifies a woman whose professional talent, business ethics, and passion for investing help define and advance the finance industry’s standards of excellence. At Bowdoin, Ms. Volent is responsible for the oversight and management of the College’s endowment. Prior to joining Bowdoin, a private, residential college located in Brunswick, Maine, in July 2000, Ms. Volent was a senior associate at Yale’s Investments Office. Ms. Volent earned her bachelor’s degree in art history at the University of New Hampshire; her master’s degree in art history at the Institute of Fine Arts at New York University; a certificate in conservation with a specialization in the conservation of works of art on paper at the Conservation Center at New York University; and her Master of Business Administration at the Yale School of Management. Prior to focusing on endowment management, Paula worked as a paper conservator at the New York Historical Society, the San Francisco Palace of Fine Arts, the Los Angeles County Museum of Art, and the National Gallery of Art in Washington D.C. She also ran a private paper conservation studio in Los Angeles, California. She serves on the board of advisors of the Yale School of Management, as a member of the investment committee of the Pritzker Family Foundation, as a trustee and member of the investment committee of the Maine Coast Heritage Trust, as a member of the Advisory Board of Girls Who Invest, and as an investment committee member of the Rockefeller Foundation. “Paula Volent is renowned among her peers for her investment acumen, her longevity in the field and her remarkable success at Bowdoin, where she and her team have tripled the college’s endowment over a 15-year period. Equally important is her cultivation of the next generation by establishing a student internship program. 100 Women in Finance is thrilled to recognize Paula’s achievements as an investment manager and builder of a talent pipeline for the industry,” said Sonia Gardner, president, managing partner and co-founder of Avenue Capital Group, and 100WF Global Chair of the Board of Directors. Also being honored at the gala with the 2017 North American Effecting Change Award are Ray, Barbara, and Paul Dalio. Ray Dalio is the founder and chief investment officer of Bridgewater Associates, the world’s largest hedge fund, and founder of the Dalio Foundation. The Dalio family is receiving this award for their commitment to supporting individuals and families affected by mental illness. Paul Dalio has personal experience with bipolar disorder, and has worked with his family to conduct research on and raise awareness of this mental health condition. Paul Tudor Jones, II, co-chairman, chief investment officer and founder of Tudor Investment Corporation, will introduce the Dalio family at the gala. 100 Women in Finance believes empowering women in finance also means supporting women and families everywhere. The organization’s galas and fundraising events benefit organizations dedicated to improving lives through mentoring, women’s and family health initiatives, and education. Each year, 100WF’s board of directors selects a new charitable organization for its philanthropic initiatives. This year’s global theme is “Women’s & Family Health” and the net proceeds from the New York Gala will benefit NAMI: National Alliance on Mental Illness, the nation’s largest grassroots mental health organization dedicated to building better lives for the millions of Americans affected by mental illness. NAMI provides advocacy, education, support and public awareness so all people can experience resiliency, recovery and wellness. To date, 100WF has raised over $40 million gross to benefit our philanthropic partners and has positively impacted the lives of approximately 300,000 children and their families. Please click here to view and download the New York Gala save the date invitation. Limited table sponsorships and individual tickets are available.